Pushing lifting button, the device opens completely the proportional valve (see following hydraulic scheme) and then it switches the motor on: according to the set parameters, the proportional valve is closed in ramp, so the oil flow to the lifting cylinder increase. Releasing the button the proportional valve begin to open, and when it is completely opened, it switch the motor off. Pushing descent button, the device opens the on/off valve and simultaneously the proportional one in progression, so the oil flows out of cylinder rising. Releasing the button, the proportional valve begin to close, and then also the on/off one. 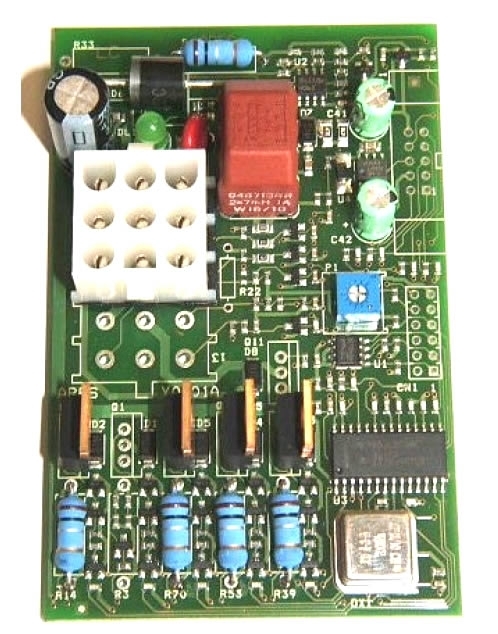 SGM-05 board has 12 outputs, with a PWM current regulation. Those signals control 6 movements and their opposite ones (6+6 movements); in addition there are 3 output pins for on/off loads. 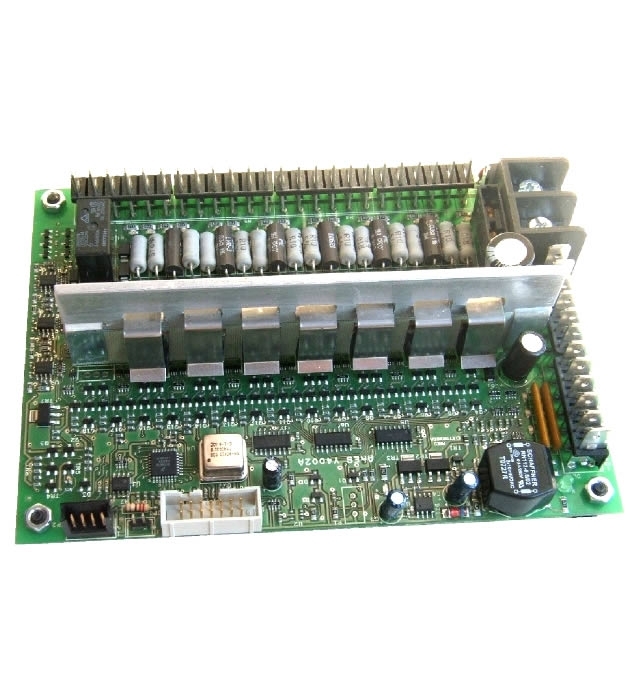 There are 6 proportional inputs with 2.5V offset voltage, these pins can be connected with 6 joysticks (like Joys-100). Only 4 proportional signals can work simultaneously. Finally there are 4 digital inputs for customer applications.